In addition to free FTZ adapter it is now including camera bag and XQD card. My talks with industry insiders tell that Z6 and Z7 sales also are very slow, much much better than Panasonic preorders state but well below Nikon expectations. Not surprised. But in Adorama it had been absent. 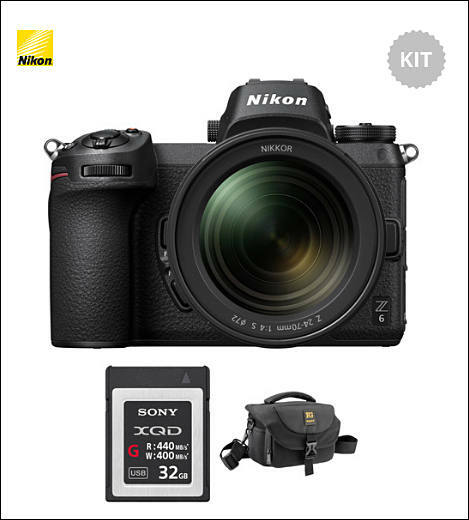 Camera issues aside, I guess the potential buyers are 55+ aged guys with who already have 4 or 5 Nikon bodies (at least 1 full frame) and a bunch of lenses and are getting old so they mostly carry around a phone or RX100. There is simply not much need for what is essentially a whole new system. In a different case, I recently met a young pro architectural photographer (mid 20s) who was using an EOS R. Even for him, mirrorless was not a major evolutionary leap over his old 5D MK3. Major leap must be revolution in lenses, I mean getting rid of most glass and replacing it with large sensor with computational stuff.